The Red List of Fraxinus reveals that the majority of Fraxinus species (79%) are not threatened with extinction in the wild. However, 11 species are at high risk of being lost in the near future, with over 50% of these threatened species experiencing rapid population decline due to the devastating emerald ash borer (EAB) insect, invasive to North America. Ash species make up significant parts of many temperate forests and woodlands where they perform important ecosystem functions, forming habitats with many other hardwood species and providing shelter and fodder for native wildlife. 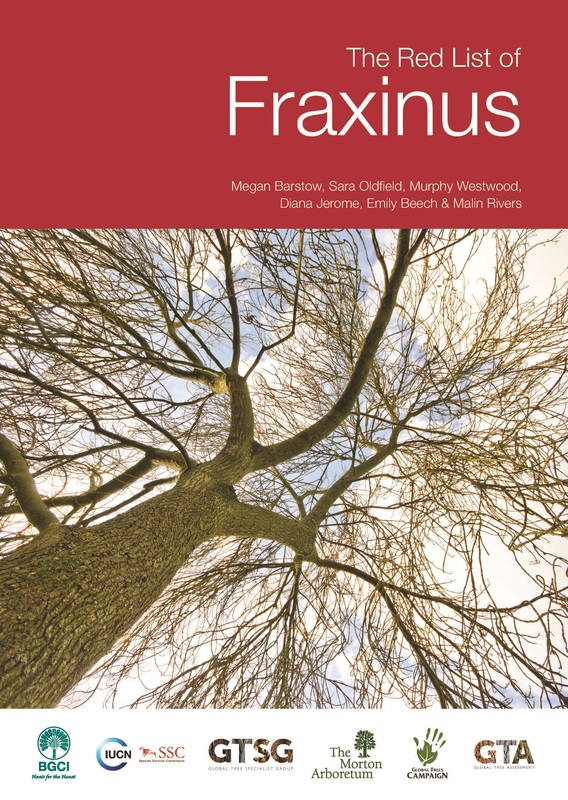 It is encouraging that only 21% of Fraxinus are considered to be threatened with extinction, which is much lower than for other botanical groups that have been assessed, such as the magnolias (48% of species threatened). The report highlights the importance of monitoring even the most widespread species of Fraxinus. Many ash trees are exploited for timber which was identified as the second greatest threat to the species, for example, the timber species Fraxinus mandshurica is listed on Appendix III of CITES for the Russian Federation. The greatest threat to the world’s ash trees is ‘problematic pests and diseases’, such as EAB (Agrilus planipennis) in North America and Hymenoschyphus fraxineus, a fungus that causes ash dieback in Europe. Threat from pests and timber exploitation can cause rapid decline in population size and is pushing Fraxinus species to the brink of extinction. The spread of EAB shows no sign of stopping and there is currently no natural resistance, treatment or remediation available for trees in the wild. The Red List of Fraxinus aims to mobilise individuals, local groups and institutions to take action against this pest and other threats to Fraxinus. The remaining five threatened Fraxinus species are at risk in the wild due to logging, small geographic ranges, habitat fragmentation and deforestation. Already, BGCI’s International Plant Sentinel Network, The Morton Arboretum and the UK Forestry Commission are using botanic garden and arboreta collections of ash to fight back against pests and diseases. These research is significantly aided by the presence of 85% of Fraxinus species within botanic gardens or arboretum collections. In fact, only one threatened species, Fraxinus hubeiensis, was not found to have this security measure.